This morning’s activities involved nursing a sore back, cleaning several Rosie “droppings” from the backyard and starting into the ears for Buford. 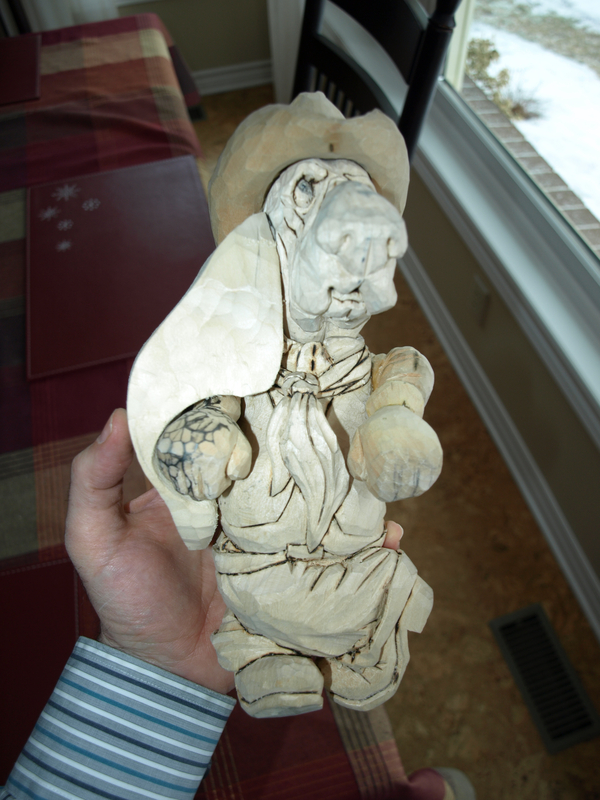 I didn’t enjoy the sore back part nor the backyard part ( Rosie did ) but I did enjoy the carving part. And my back is feeling a little better. I made a fairly quick template out of paper just to get the general shape of the ear that would eventually curl around one arm and fall just short of the six-shooter. 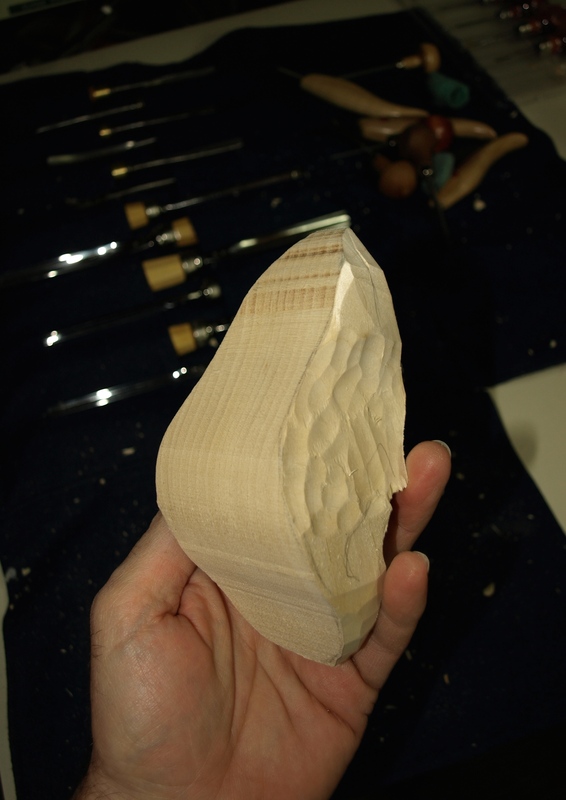 After transferring a front and side view of this template to a piece of basswood ( thanks, Emily, for the basswood ), I rough cut it on the bandsaw and then did some minimal shaping with some carving tools. 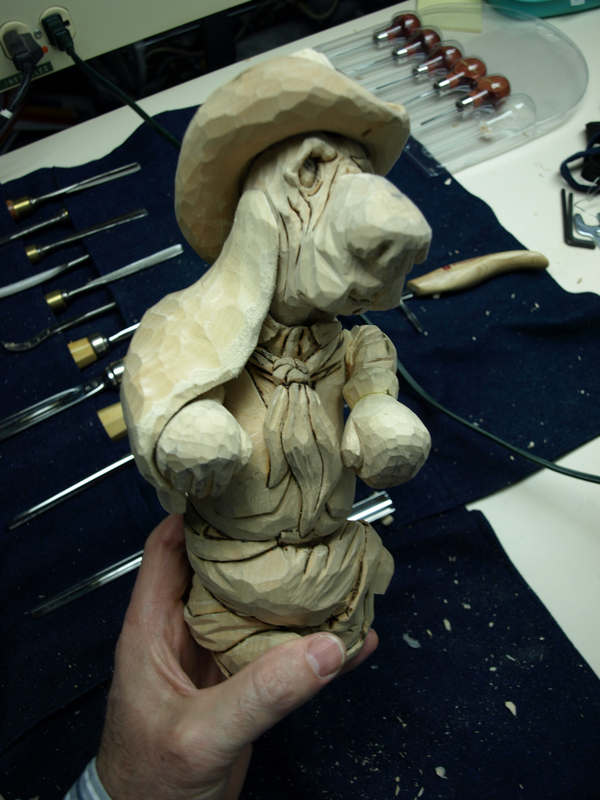 Following this step, I went back to the tried-and-true method of putting pencil lead on the arm, placing the ear in place, having the pencil lead transfer to the ear and then carving away the pencil lead. 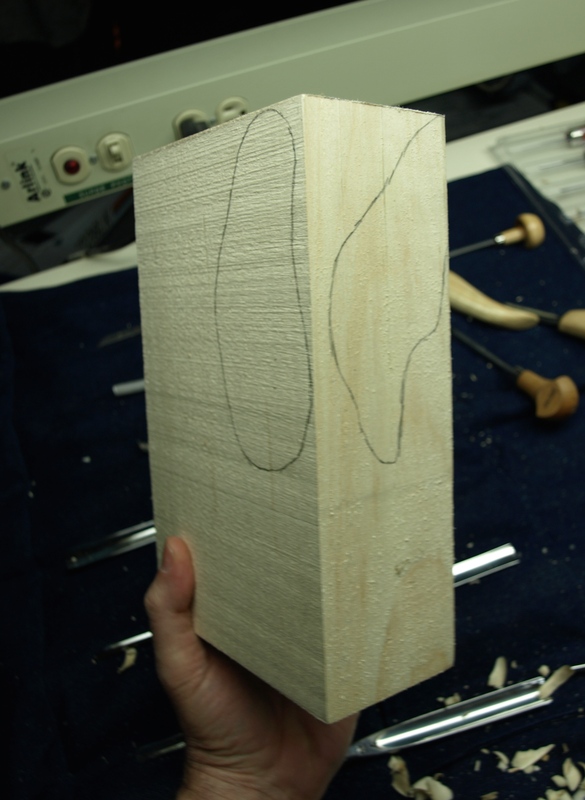 Because the fitting was such a drastic removal of wood, I was able to eye-ball much of the material that had to be removed and resort to the pencil lead only when the final fitting was needed. Again, I used the Typhoon carbide bit on the Foredom tool to remove the material quickly and then followed up with carving knives and chisels to do some final fitting. Buford looks really good,I love his ear,the way it falls over his arm 🙂 on another note sorry to hear you have a sore back,I hope it gets better soon. Thanks. I’ll post another photo shortly with both of the ears in place and trimmed a bit shorter. 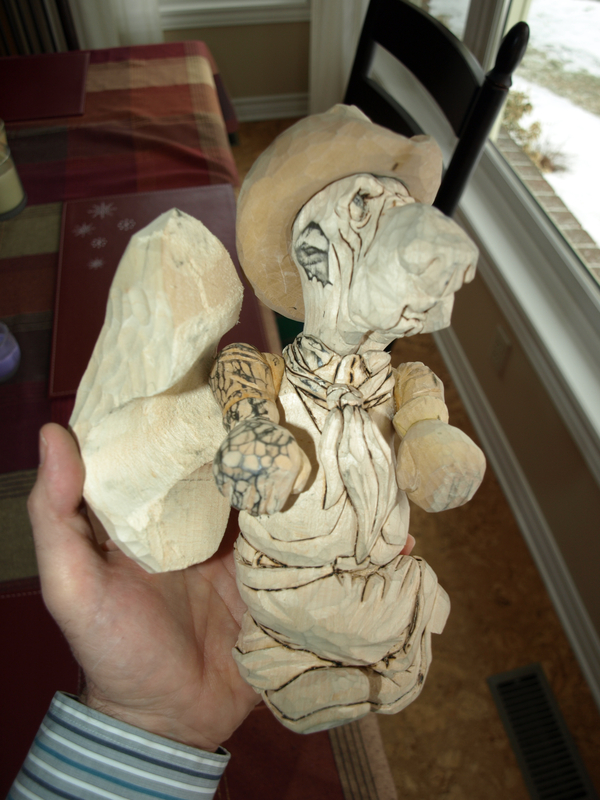 He’s looking pretty good and I’m enjoying the carving time. If this snow ever goes away I’ll be able to get outside and exercise this back of mine doing some yard work.